Ok, so pinterest exists -- which means I'm inundated with visions of a thousand perfect bedrooms, 24/7. But. This. This has to be the ultimate dream bedroom. 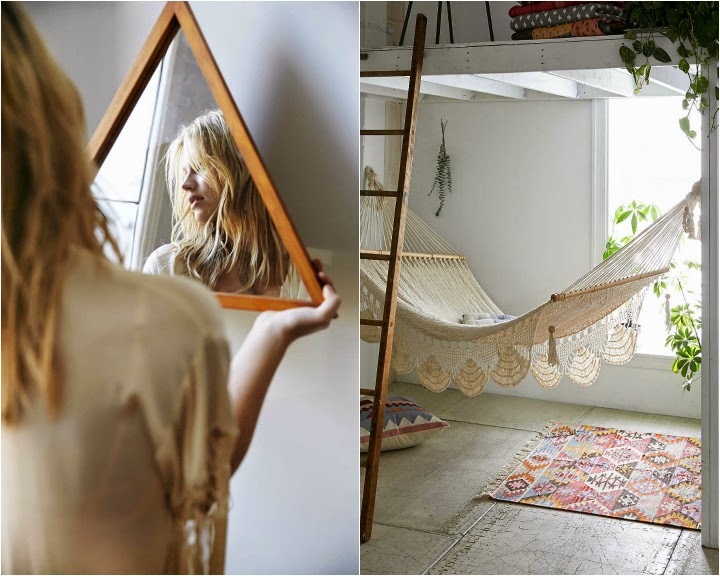 It's bohemian, calming -- but a little undone, too. I think Dumbledore has to be involved in this chicanery because it's literally like someone reached into my brain, swirled it up, and pulled all of this out. All. Of. It. So, pardon the slightly frivolous post -- I'm saving this for future home inspiration. 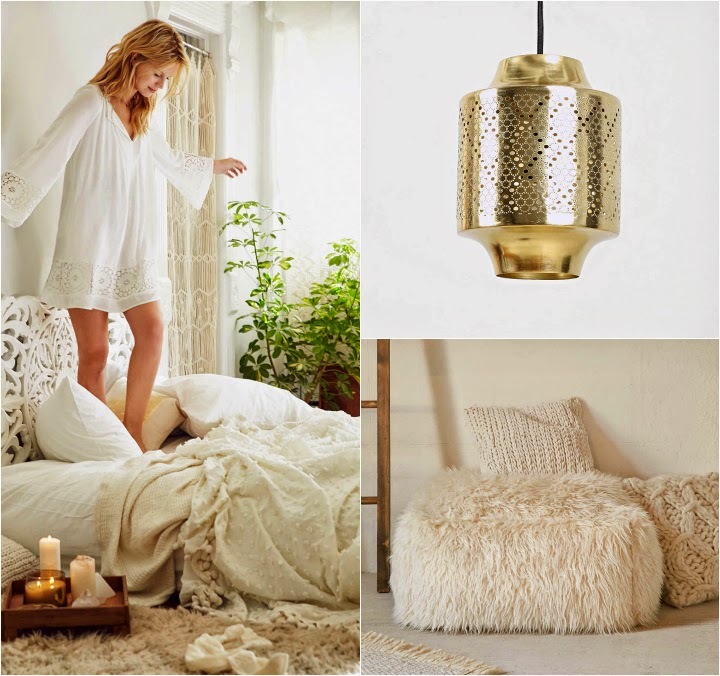 What does your ultimate dream bedroom look like? Well, also just. like. this. Urban has a way of being everything I've ever wanted. Ever! Or, more accurately, everything I never knew I wanted but I achingly DO. I have a few pieces from this spread, but I've had my eye on that vanity. A girl's best friend right there. 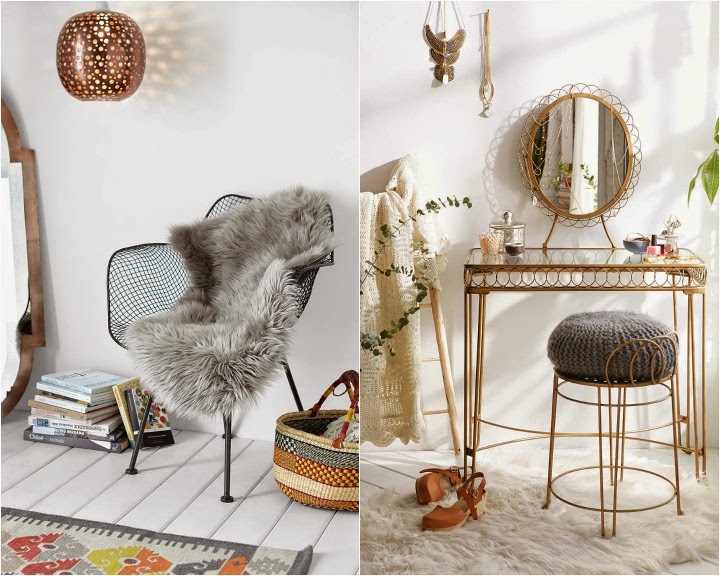 I love the wall hanging in the third photograph, and the aztec printed rug. Simply beautiful! sometimes i wish i could just paint my bedroom all white, but i just love how dark my bedroom is so i could sleep in longer. (i have all wooden walls && ceiling - like a cabin).